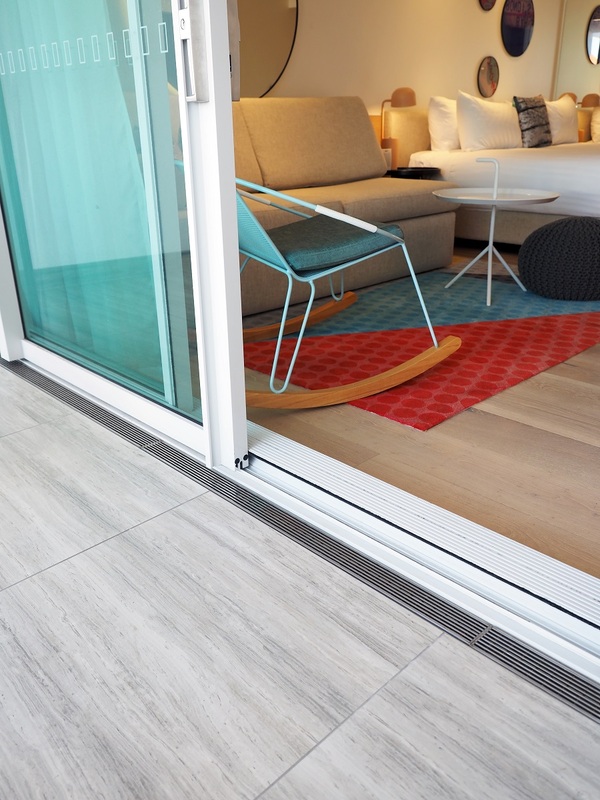 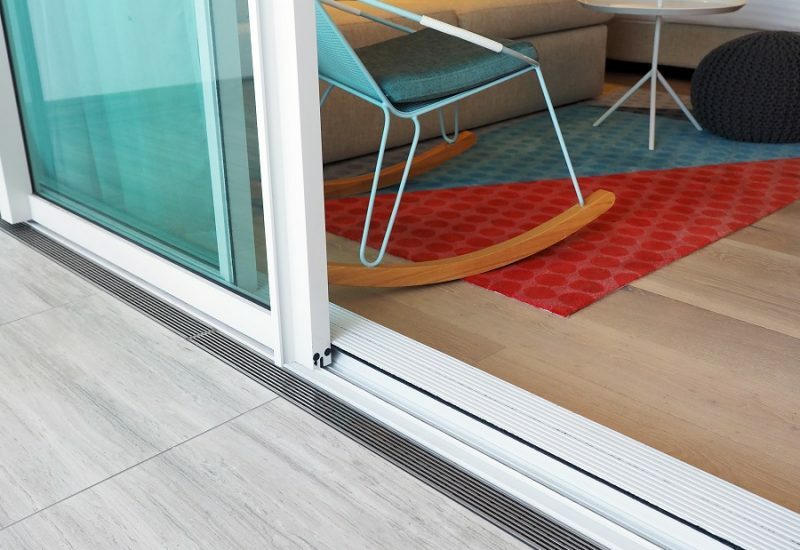 Developed over 20 years ago by Stormtech as a requirement for special needs access, threshold was originally designed to eliminate the ‘trip-and-slip’ hazards of stepdown partitions, delivering uninterrupted access between indoor and outdoor living areas. 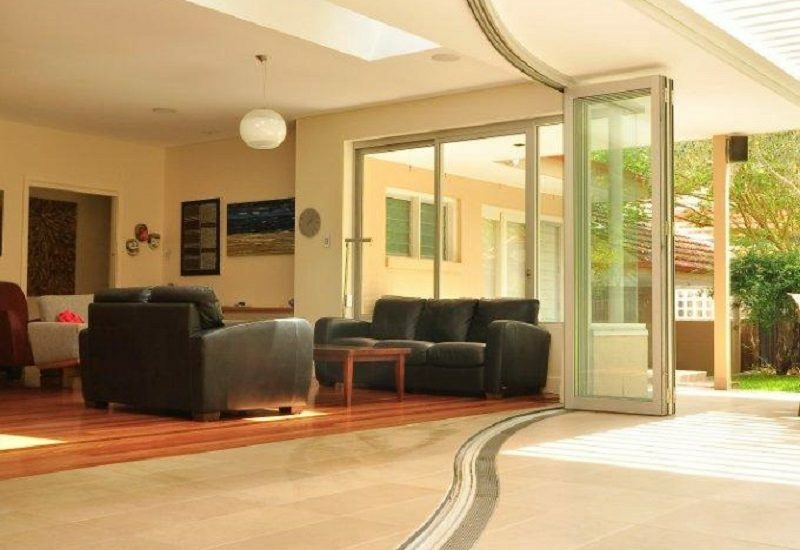 It is a defining example of elegance in simplicity. 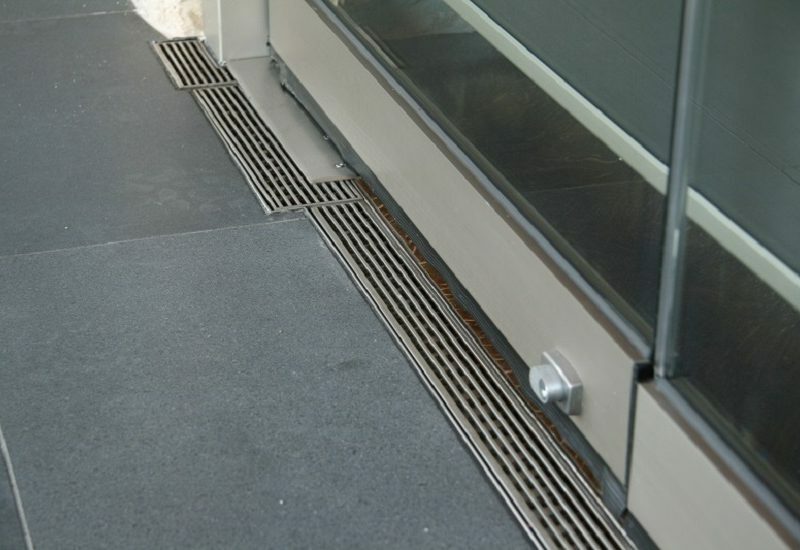 The low-profile design consists of an external linear grate which sits flush beside the doortrack, in precise alignment with the ground surface. 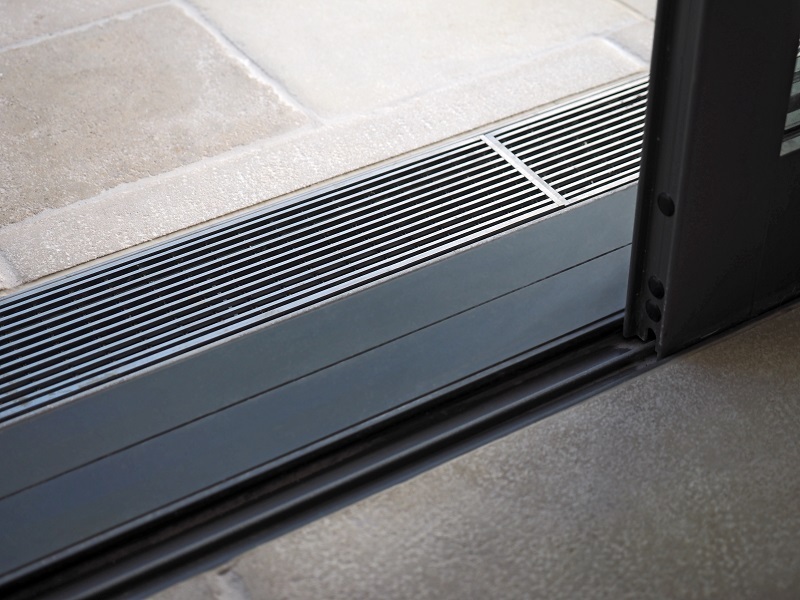 An integrated, concealed, subsill collects water flows and condensation around the doorway, conveying it to the external drainage system. 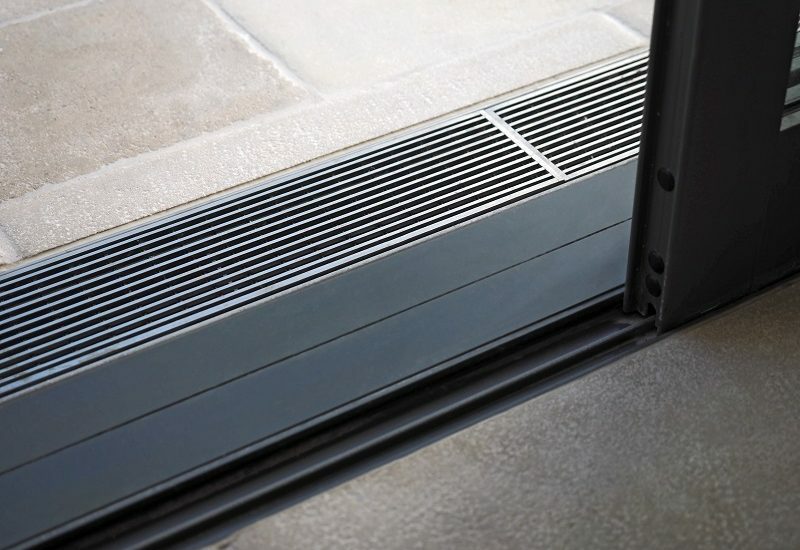 The streamlined, low-impact, structure acts as both water barrier and active water conduit, ensuring excellent drainage possibilities between the indoor/outdoor divide. 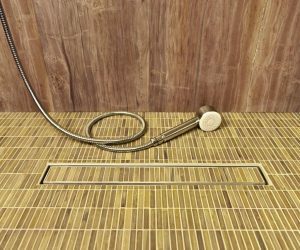 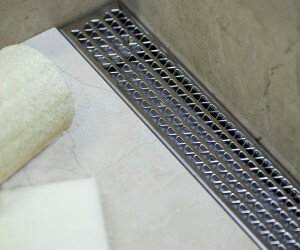 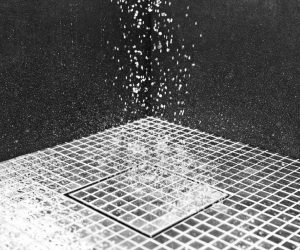 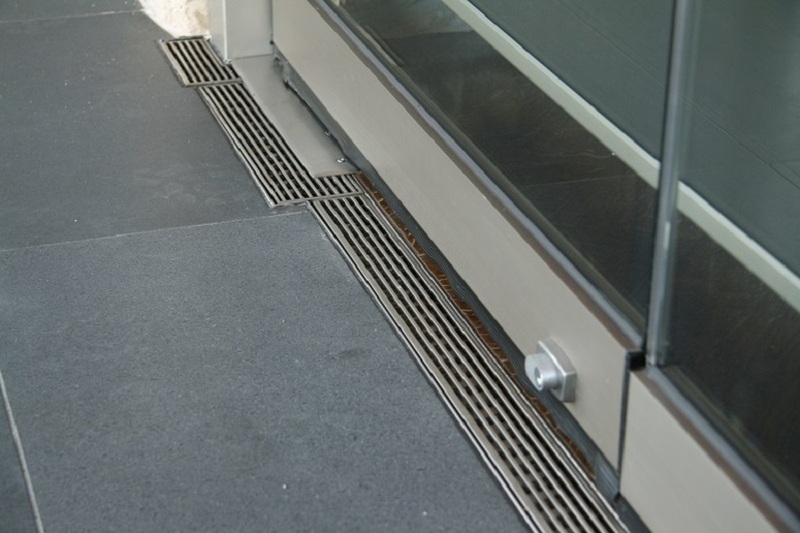 Manufactured in Australia from 316 marine grade, the Threshold drain is available with a range of different grate designs from the high-end architectural AR grate to a punched slotted design. 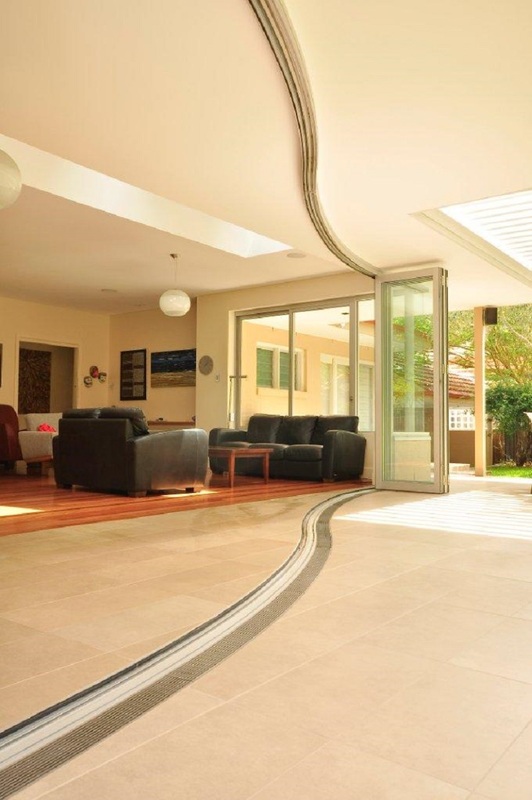 It is also available as a fully customised unit, including curved designs.